← Should I Spend Donuts on the Roger Meyers Story? You’ll earn Chain Saws very similar to how you earned Axes during Act 2…. Crafting remains, as it was during Acts 1 and 2, for Act 3. You earn crafting currency from tapping Park Visitors, sending characters to staff rides AND clearing Park Visitors in friends towns. Yes, the area around your I&S Gate is still active for the Amusement Bonus. Only now the bonus % has increased to 50%. So 15% more from Act 2 to max it out. Ok so with Act 3 also comes the 4th of July Content. There’s LOADS of stuff with the 4th this year (pretty much all returning) and most of it has been relegated to a Mystery Box. This will be the LAST of the I&S Premium stuff…from what I can tell…with this event. Only items coming back are returning ones. The one new item this year…. These cash/direct donut purchase 4th of July items are a little hard to find. You’ll have to search the premium section and the decorations section of your store to find them. They’re not in their own category, unfortunately. The Mystery Box will appear with the other main images when you open the store though, it’s just the standalone cash/premium decorations that are hard to find in the store (ie you’ll have to go looking for them). And that my friends concludes the quick rundown of Act 3! Thoughts on Act 3? Just like you pictured it? Excited about these prizes? How’d you do with your Act 2 prizes? Will you be buying any of the new premium items? Sound off in the comments below. You know we love hearing from you! 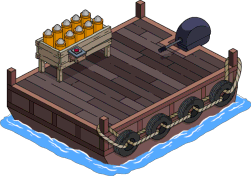 This entry was posted in 4th of July 2018, Buildings, Characters, Decorations, Donuts, Tapped Out, Tips and Tricks, Updates and tagged 4th of July 2018, Act 3 crafting, Act 3 currency, act 3 prizes, donuts, Itchy and scratchy land act 3, Itchy and Scratchy land event, itchy and scratchy update, ronald reagan, Soarin over Springfield, Tapped Out Tips and Tricks, The Simpsons Tapped Out, Tina Ballerina, TSTO Addicts, TSTO Itchy and Scratchy land, TSTO Presidents 2018, TSTO Tips and Tricks. Bookmark the permalink. Yep – resources needed for the final Act have jumped up massively. 14000 just to get to the next crafting level is just nuts as I really don’t want half of what I need to craft to get to what I do want. It’s getting boring now – no great prizes any more as I’ve already got most stuff through past events. Just keep tapping to get through each Act. Really can’t be bothered to rebuild KrustyLand in Springfield and have done the minimum. Time to uninstall and not have to stress about getting online when an event is on I’m I can’t get a good signal, having to sign on every 4 hours to maximise resources. It was fun and I was totally hooked for a couple of years but time to call it a day. Did the number of resources for leveling up for crafting change? I am currently on level 9, trying to get to 10 and the amount of crafting currency states I need 14,000 to get to level 10. Alissa’s post stated you only needed 11,000. Thanks! And sorry if this was answered before. ok nm i have to unlock zoominator. I don’t understand. I’m level 9 and all the roller coaster tracks are locked? But they say I need to get to level 8 to unlock them? I restarted and nothing. I’m not saying the 4th of July Mystery Box is ‘meh’, but I am admitting that the Pride Mystery Box / Krustyland Mystery Boxes were more rewarding for me (I can skip it but for others it could be their favorite). That Zoominator – I’m sorry but these Itchy and Scratchy Rides should have been scaled down to the same size as those in Krustyland! The game lag / game freeze which continues has turned me into a Plopper (I gather others Tappers will feel the same) and you know a lot will be put into Storage post Event until EA solves these problems! Did you look under the “Decorations” section of the inventory for the track pieces? I also cleaned out the 4th of july box.75 donuts for a character building combo is hard to pass.thanks again for all your hard work on all these posts.have a good one everybody. 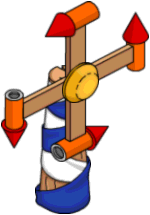 Not sure if the team noticed that just below the Act 3 Personal Prize List,the image regarding the Zoominator is not the Rollercoaster.. but of the Log Ride. Great.now the zoominator causes lagging.that means 2 out of 3 of the new rides are unusable without your game slowing down.we play for two weeks to build these rides and we can’t even use them.way to go EA. Bought all the prizes in my 4th July mystery box and P Reagan, now have them all, 700+ donuts spend with some left over, going to need some work to design but at the moment its ploppervill, delighted i got them all. Somehow, I’ve got a 50.00004% bonus, so I’m getting 91 per character! I am at the max crafting level so the easy way of finding visitors is gone. There appears to be an unused / unusable track section at the top on the southwest corner piece. I can’t find any way that the man track stays in tact but this extra piece is used. Nice to start the morning with 50% bonus already. Now I can place the roller-coaster anywhere I want. I’ve been able to finish each act, which is good, although grinding is grinding, and not particularly interesting. 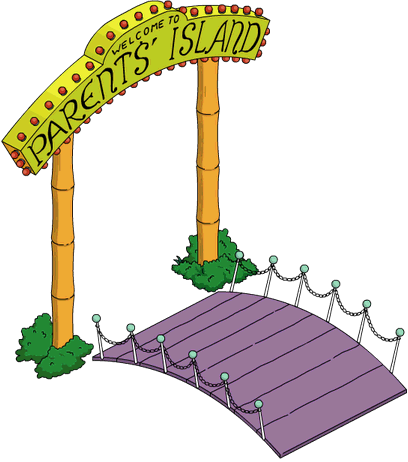 One question, if anyone knows: is there any way to get the Krustyland monorail station now? 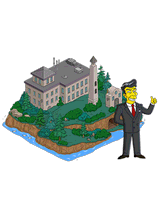 I didn’t get it at the time, but now Iv’e got a themepark in Springfield, it’d fit in (and allow me to do more with the monorail, which would be good). That’s a shame. Ah well. Thanks for the info, Alissa. Got into the game at 10:40 AM ET with no issues, and started Act 3. Would have been nice to have an extra 1500 chainsaws from yesterday’s daily challenge, but at least I was able to get today’s. Le sigh. I don’t think there was…. But it could be that in my panic, I missed it! Game has gone into slow motion mode (lagging) since act 3 zoominator placed. Like earlier post I cannot see the red dots on the zoominator to add track. Just waiting for Germany to score in the world cup. I find if you don’t let the Monorail/ Indy/ Log Ride play it helps with the lagging. so I place stuff but I have one track piece just off so it doesn’t play. Germany has lost! and more importantly the zoominator is made of lots of pieces so move one piece and the lag will vanish also the red squares will appear and you can join new track pieces to the zoominator. Characters that get sent to Staff Rides – at the main gate – are now earning 90 chain saws. If you have the 50% Bonus, they are. Quick and rough Calendar calculation…..
15 days, 60,000 chainsaws needed = 4,000 each day. Plus you collect Park Visitors……. If my math is correct, this appears to be achievable. lol Riley always laughs when I say it…that and Okie dokie smokey. Sprawl-mart is in the vault, too. 90 dounts with a rebate that actually makes it cheaper than taking your chances in the mystery box. Odd how that worked out. 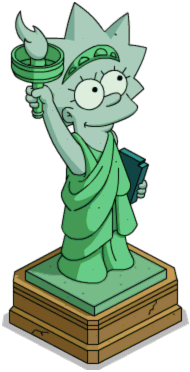 Like Patric says, they should appear in the mystery box with Springfield National Park (Teddy) and Eisenhower’s 4×4 (Ike), The mystery box only lists the building or decoration the character comes with not the actual character. Too good to be true! The servers are down! Overload! Oh! I have so much more in my mystery box than you announced! I don’t have bo uts! Spent them all! Will have to find time to farm! You do? What’s in yours? Wow! I am surprised. I was able to access all 3 of my Springfields with no server issues. It’s truly a miracle! What’s up with zoominator corner? Looks like a potential second level of track…but how would you construct it? works the sane as the others… connect the dots. It expands the same as the other rides. Straight..corner…drops etc. I’m jealous. As soon as I placed the Zoominator my game will barely scroll. I really hope EA can fix this lag issue. I’d hate to have to store the only rides you can actually watch the Simpson’s ride on. Wow, now Ronal Reagan is in the game! Another historical American President to add to the collection! Btw, I just got a deal from Gil about the Duff Gardens and Lizard Lisa. This is not the precedent to the infamous rollback bug right? It’s only a symptom of the rollback IF you have already gotten that offer before. 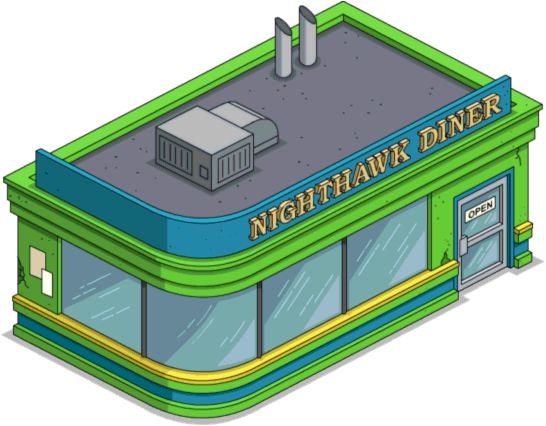 If this is the first time you’ve seen Duff Gardens in your game, then it’s correct.